With the deluge of high-profile sexual harassment allegations all over the world, the media and the leaders are turning towards an ostensibly simple solution: make anti-sexual harassment training mandatory in the workplaces. 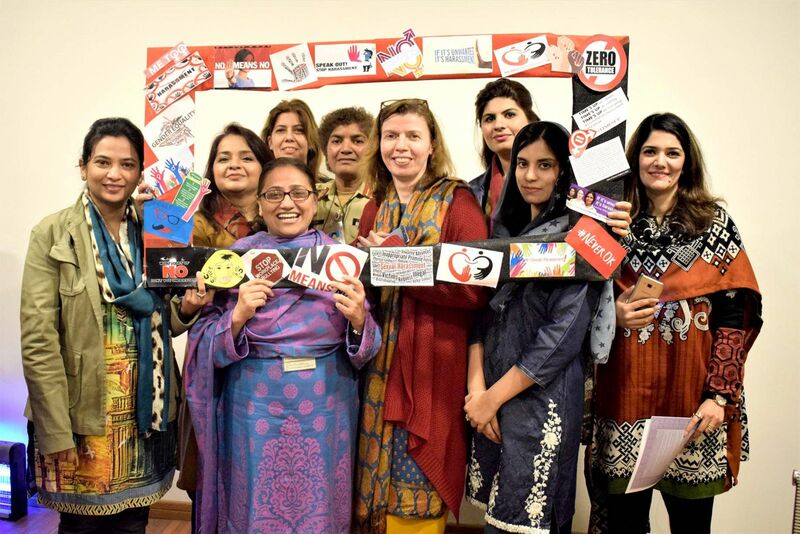 The Government of Pakistan passed two laws to curtail sexual harassment in 2010 - the Criminal Law (Amendment) Act, with amendments in Section 509 of the Pakistan Penal Code relating to sexual harassment at the workplace and the Protection against Harassment of Women at the Workplace Act. The laws entail that the management of the Universities and organisations are responsible to provide formal awareness to all employees about the existing Acts, the Committee and the procedure of reporting cases, and formulate a three-members’ Standing Inquiry Committee with at least one female member, and display ‘Code of Conduct’ in the organisation. Higher Education Commission (HEC), Pakistan has also promulgated a policy in this regard, and has ensured strict and mandatory implementation of the Acts across the board in all Higher Education Institutions (HEIs) across Pakistan. However, HEC is spearheading the awareness campaign and delivering trainings to all HEIs’ students, faculty and staff. 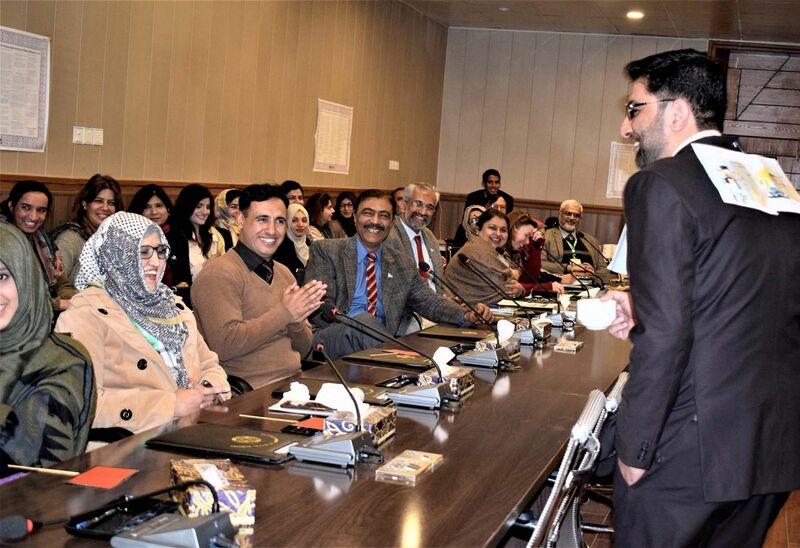 Quality Assurance (QA) Directorate at National University of Medical Sciences (NUMS) being the flag bearer of promoting integrity as its core value, in unison with the university’s vision and mission, took the initiative of conducting an interactive Awareness Session on ‘Creating Dignified Workplace’ on 23rd January 2018 at NUMS’ Professional Development Center (PDC). Considering the gravity of the issue, Ms Maliha Hussain, National Resource Person to create awareness and impart trainings to maximise adult learning and bring social change was invited as the keynote speaker. 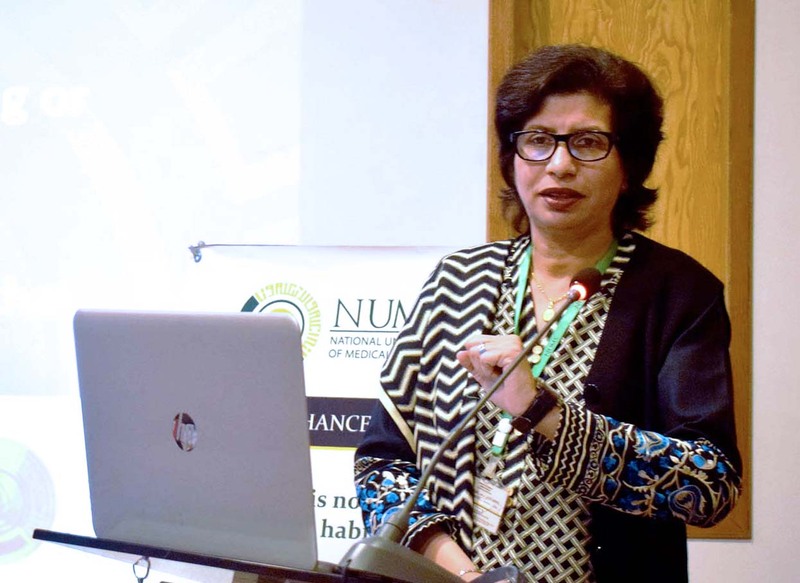 Director QA & Quality Enhancement Cell (QEC), NUMS, Ms Noor Amna Malik opened the session with a talk on the Role of Quality Assurance in Creating Dignified Workplace. 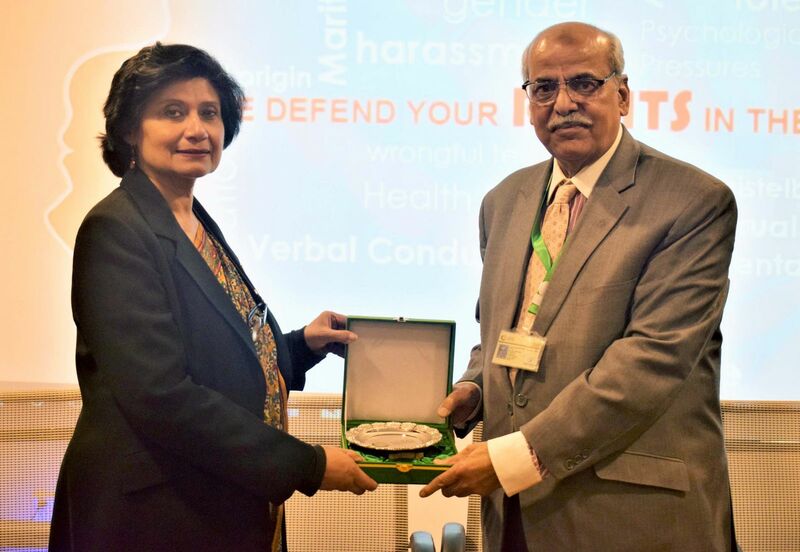 She elaborated and shared the terminologies related to the topic with the audience, the Laws pertaining to the issue and Anti-Harassment Policy laid down by HEC to be complied by the universities all over Pakistan. To serve the purpose, an Anti-Harassment Committee has also been constituted. 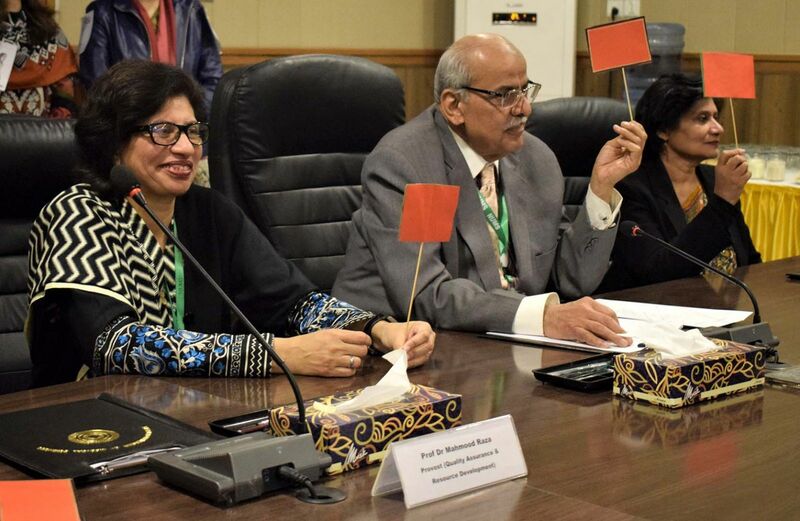 The members of the committee include Brig (Retd) Zafar Iqbal, Director Human Resource & Coordination, Ms Noor Amna Malik, Director QA & QEC and Mr Naveed Ashraf, Assistant Director Finance at NUMS and Dr Erum Monis, Assistant Director Quality Assurance has been nominated as Harassment Monitoring Officer. Brig. (Retd) Zafar Iqbal, Director Human Resource & Coordination discussed the ‘Zero Tolerance Policy of NUMS on Gender Harassment.’ He discussed the details of the procedure of launching the complaints by the victim and the timeline to be followed by the Anti-Harassment Committee in resolving the issue, which is no longer than one month. He also reiterated on conforming to the norms of the official decorum. The audience that comprised all levels of NUMS Secretariat Management and participants from the constituent Army Medical College, Armed Forces Institute of Medical Sciences, College of Nursing, Rawalpindi and Armed Forces Institute of Pathology (AFIP) and Armed Forces Institute of Radiology and Imaging (AFIRI). The worthy Pro Vice Chancellor NUMS, Maj. Gen. (Retd) Muhammad Aslam, closed the session by ensuring the employees of NUMS that it will be a dignified place to work at. He reiterated the gravity of the issue and significance of having policies, rules and regulations. He said, “Mutual relationships should flourish respectably and sense of humour kept alive to maintain a stress free environment at work.” He presented a token of appreciation to the guest speaker. The request to trickle down trainings in various constituent colleges and institutes were received by the QA Directorate and the participants were promised that cascading trainings will be scheduled.